Welcome back everyone! 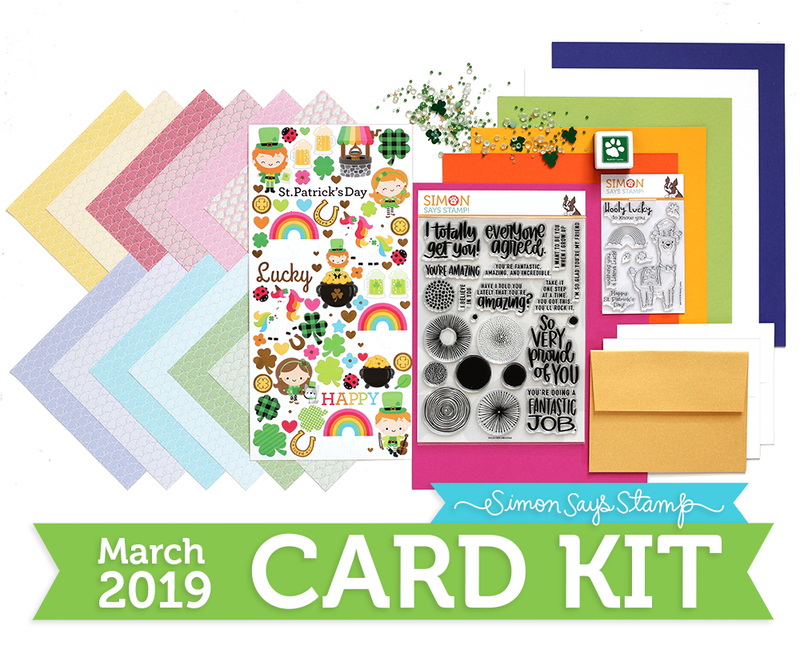 It’s time for the March release from Simon Says Stamp called Fresh Blooms. 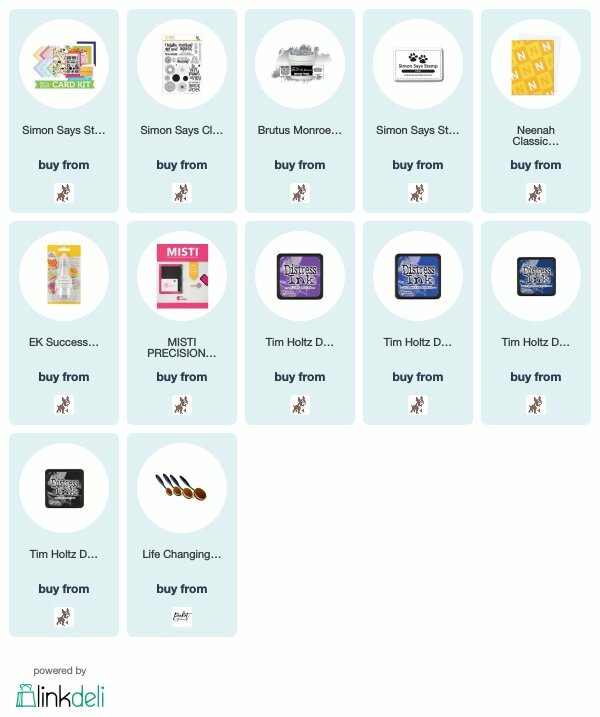 There are amazing new products available for purchase! I’m using this precious word die called Bunny Kisses. As soon as I saw this I knew it would pair nicely with the Beautiful Day stamp set. I started my card by stamping the images from the Beautiful Day stamp set around the edge of a piece of Neenah White card stock using Clear Embossing Ink. Then I heat embossed with white embossing powder. Next, I ink blended Worn Lipstick, Mustard Seed, Tumbled Glass and Shaded Lilac using a blending brush from Picket Fence Studios. I adhered this panel using foam tape to an A2 card base I made from #110 Neenah White card stock. This beautiful word die is die cut from White Glitter card stock and also two more times from white card stock. I layered them together and added to the front of the card with Simon Says Stamp Tacky Glue. For a finishing touch, I added some jewels around the card. Hope you enjoyed today’s card and be sure to head over to Simon Says Stamp to check out the entire release. It’ll knock your socks off! Welcome back everyone! 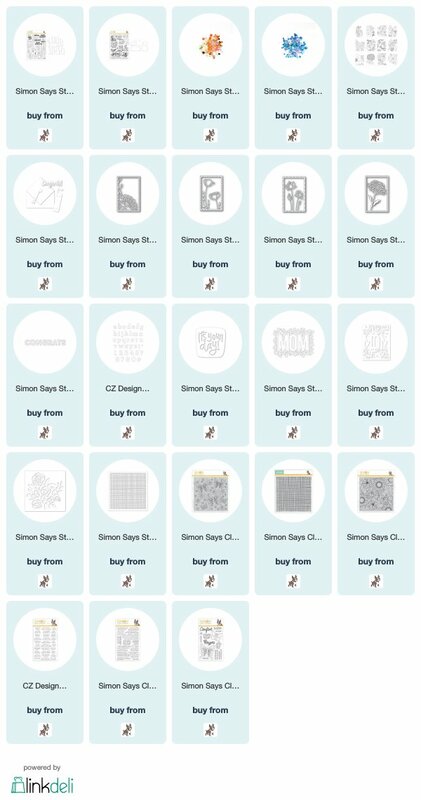 I’m still playing with the Simon Says Stamp March Card Kit. 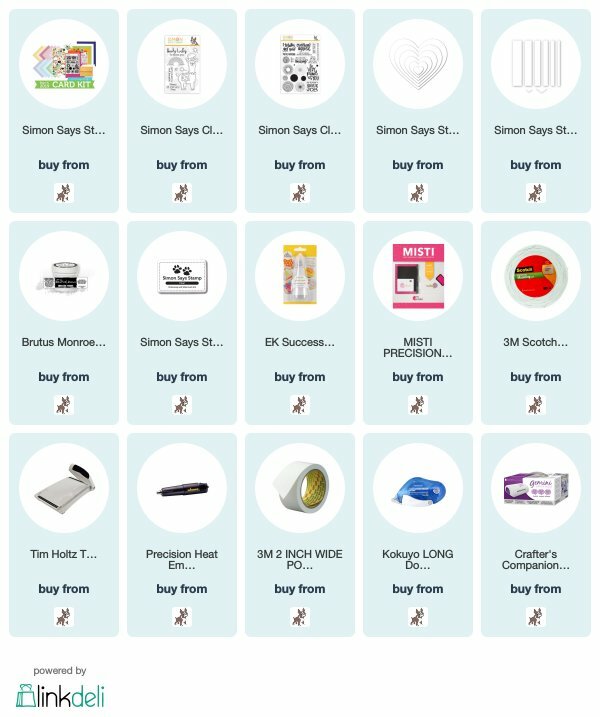 These are so jam packed with value for a very reasonable price! My card today is featuring this fun llama stamp set Wooly Lucky that comes in the kit. What does a llama have to do with St. Patrick’s Day? Who cares lol… it’s cute! I stamped my image onto Neenah White card stock and colored with copic markers. I didn’t have a coordinating die so I fussy cut my image out. I have this amazing light green card stock called Green Apple that came in the kit in which I’ll use for my card base. I trimmed a piece of white card stock down to 4″ x 5 1/4″ and die cut a heart from the center using the Nested Heart dies. I layered the back of the white card stock with foam tape and attached to my card base. In the kit comes a huge sticker sheet. I attached the rainbow and clouds stickers to some white card stock and trimmed them out so they have a nice white border. Then added them to the center of my heart with foam tape. I attached my cute llama to the front of my card. My sentiment is from the Amazing stamp set which is also in the kit or you can purchase separately. I stamped it on Sunshine card stock with Clear Embossing ink and heat embossed with Brutus Monroe Alabaster white. I trimmed the sentiment out with the Sentiment Labels die and added to the front of my card with more foam tape. Yes, I love foam tape. Affiliate links may be used at no additional cost to you . Welcome everyone! I have a card to share today using one of the stamp sets from the March Simon Says Stamp card kit. When I first saw this stamp set, I immediately thought of fireworks. I stamped creating my background by heat embossing my images and sentiments with Brutus Monroe Sterling Embossing Powder. Using the Misti tool made this go real quick. Then I created a galaxy background by ink blending, Wilted Violet, Blueprint Sketch, Chipped Sapphire and Black Soot distress ink on Neenah White card stock. I used my Picket Fence Studios Life Changing brush for all of the ink blending to achieve a smooth blend.